Virtual Reality seems like it would be something that would already be prolific in some form or another in everyones home, I mean after all it is almost the end of 2016. Just earlier this year, the Oculus Rift, a PC enabled VR platform was released and it did seem like that was the talk of the town for a while, but similar to TitanFall it seems just about dead now, with mainstream news coming few and far between sans the controversies. While, the headset isn’t 100% dead, it definitely doesn’t seem to carry the same energy and excitement that it did earlier this year. Console based VR is in its infancy – actually it is still in the womb. Most users not have gotten to experience any console VR except some and only in short snippeted demos and even these were in limited location around the United States. With such limited exposure to a brand new peripheral most adopters (even early adopters) are going to have a bit of a hard time shelling out the hundreds of dollars for this new treat. 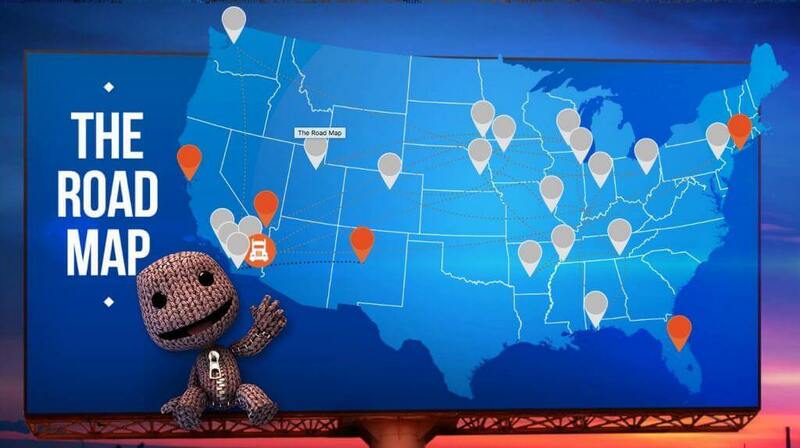 Below is the map showing where primary demo centers where setup when Playstation was doing their Road to Greatness Tour. The other problem (gameplay wise) with VR right now is that games themselves are not ready to create what we want them to, instead only offering only a small taste of things to come. We want total immersion but will end up with a on the rails limited experience. Lets look at the handful of games showcased in Playstation’s VR launch video and see which counter this argument. So with 4 out of 5 games already looking to be definitely handicapped with this limited experience. I cant see the games being to much of a draw (right now). With that said the gaming experience could get better; Imagine the next installment of Far Cry offering VR capabilities. This is one aspect I have over the past couple of days been talking closely to one of my friends about. He recently found out he won a VR Headset via the Taco Bell giveaway but right now only owns an Xbox one, so in order to use the headset he would need to go out and buy a PS4 (Pro). With that said, its not completely know what type of experience the original PS4 will offer – so its unknown if he would be able to take advantage of the recently announced price drop.